Hanging around the various Media Center forums I often find people like myself with the same, well shall we call them "special hangups"... In this case I'm talking about my addiction to collecting media. Several years ago I used to record every movie I could get my tuner to record. It was only logical I though that I should use that high-powered DVR (and later HTPC) to make sure I got every movie played on every channel including HBO and the other premium cable channels. Well, just the other day I ran across a post on the SageTV forums of someone just like me (actually someone who I know reads GeekTonic so I'll keep the name anonymous to protect the innocent...) He said he was trying to "get his monies worth" and record a lot of movies in HD from those premium channels. After a while, he like me before him came to the conclusion "that just because I can record movies from premium channels. I have been deleting movies halfway through because I realize that was a mistake." Yeah there are some good movies on those channels, but theres a ton of garbage as well. That behaviour leads to using up too much disk space and thinking your premium service is worth more than it really is. 1. 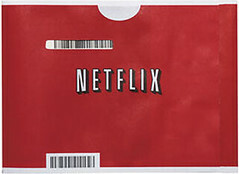 Use the one-out-at-a-time Netflix subscription. Gives me online streaming and a movie once in a while. 2. Purchase the movies I think I'll watch more than once. Blu-Ray or DVD. 3. If I want a movie in a pinch without waiting for snail mail I use redbox or in worst case scenarios Blockbuster. Other options include Boxee (some movies available mostly via Hulu), Vudu, Roku Netflix Player (soon to get Amazon VOD) and other similar solutions. In the end, I spend much less than I did with the pay channels and get only the stuff I want. Some day I may do the same thing with cable altogether although sports (college sports in particular) kind of keeps me with cable for the time being.